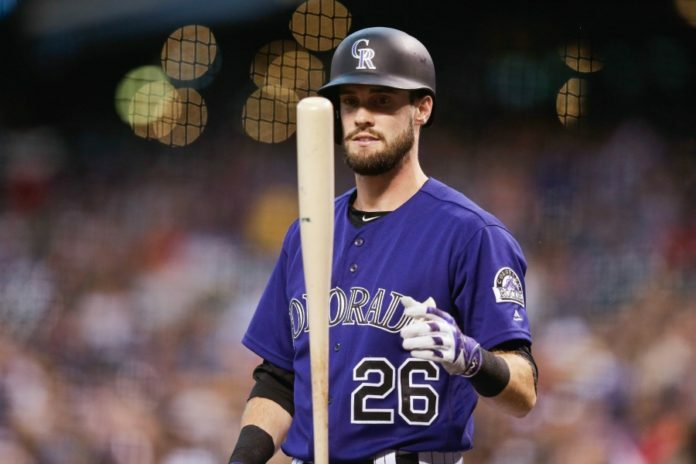 David Dahl will have to wait a little while to make his case to start in left field for the Colorado Rockies. 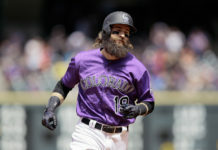 Manager Bud Black told Patrick Saunders of the Denver Post on Friday that he expects the promising young outfielder to miss a few weeks minimum. 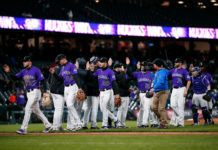 Dahl was scratched from Monday’s Cactus League game with a sore back and hasn’t practiced since. Competing with Gerardo Parra to start in left, he is 0-for-4 with a walk in two games so far this spring. “We are going to be cautious with this to make sure it heals,” Black added. 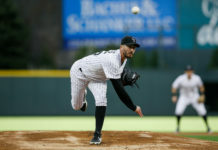 Left-handed pitcher Chris Rusin is also banged up, having been pulled from Friday’s game against the Cleveland Indians with tightness in his right side. He is expected to miss at least one start.